Nexter.org made a list of most important news you need to know this Monday morning (June 11). 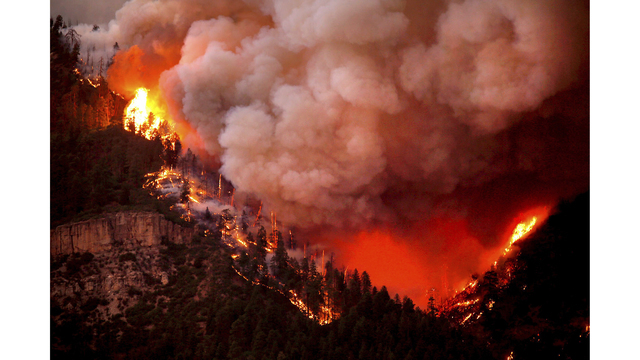 A largely unchecked Colorado wildfire nearly doubled in size from Saturday to Sunday, prompting a fresh round of evacuations. With dry, windy weather in the forecast Sunday, firefighters said they expect the fire to continue to grow. The 20-year-old actor of ‘The Goldbergs’ was found dead Friday at his home in the Los Angeles suburb of Tarzana, Lt. The case is under investigation by the Los Angeles County coroner. The 72nd Annual Tony Awards took place Sunday evening in New York at Radio City Music Hall. Bethesda revealed more details about its upcoming Fallout game, Fallout 76, confirming this evening at its E3 press conference that the title is an online-only multiplayer experience arriving on November 14th, 2018. Vince Vaughn was arrested in the early hours of Sunday morning, Manhattan Beach law enforcement have confirmed. More than 2,500 women have stripped naked on a beach in the Republic of Ireland to break the world record for the largest skinny dip. Magheramore Beach, just south of Wicklow Town, was the venue for the women-only event on Saturday morning.